Behavioral counseling and modification for cats and dogs is an ever growing area of veterinary medicine. 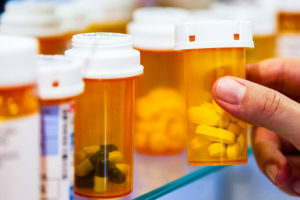 Many methods and medications exist to help our pets deal with anxiety, aggression, inappropriate urination and a variety of other behavioral disorders. Many of these problems are incredibly frustrating to owners and can often times be helped with a wide variety of techniques. One of our very own doctors at the Animal Clinic of Billings, Bryna Felchle, DVM, has taken a special interest in veterinary behavioral medicine and is our in-house, go-to source to providing effective and appropriate recommendations for dog and cat behavioral problems. Illness doesn’t always have a physical cause, and the sad truth is that more dogs are put to sleep because of behavioral problems than because of disease or injury. 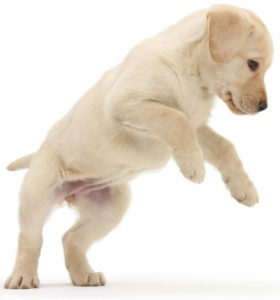 Dog obedience training can ensure your canine is a safe and enjoyable member of your family. From training puppies to addressing unwanted behavior in an older dog, our veterinarians can help you achieve a better bond with your furry friend. At the Animal Clinic of Billings, our veterinarians and support staff have many years of experience diagnosing and prescribing treatment methods for dog behavior issues. We can help determine the cause of disorders such as separation anxiety and obsessive behavior, and then develop an effective, humane training program. 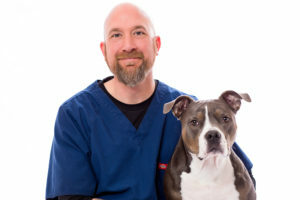 The Animal Clinic of Billings offers behavior counseling for a number of issues such as inappropriate urination or defecation, aggression, separation anxiety, inappropriate chewing and barking, introduction of new dogs and cats into the household and household pets that are in conflict with one another. Oftentimes a behavior problem, such as inappropriate voiding, can be linked to a medical issue (cystitis, bladder stones, and kidney disease). At the Animal Clinic of Billings, our veterinarians can help you recognize, validate and categorize any behavior issues you may notice. We will then work closely with you to develop a plan to help eliminate your pet’s unwanted behavior to the best of our ability. Although there are many effective solutions to problematic pet behaviors available to us, it’s important to understand that sometimes an animals behavioral issues are so severe or pronounced, that even our best medical remedies fall short in attempting to modify the behavioral problem. Oftentimes though, we are able to vastly improve or even eradicate the behavioral problem. Barking: As a dog’s main form of vocal communication, barking conveys a dog’s wants and needs. However, barking can also become an excessive and obsessive behavior that is a nuisance for you and your neighbors. If your dog barks incessantly or for no apparent reason you should consider obedience training. Mouthing: While this is perfectly normal dog behavior. Mouthing can also lead to more dangerous behavior. Nipping and biting other animals or humans is totally unacceptable dog behavior that can lead to dangerous interactions. 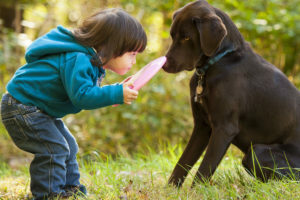 If your dog nips or bites during play or other interactions, dog training is essential to stave off potential disaster. Whining: This is also a normal vocal dog behavior. It can convey a need, but can also indicate anxiety, illness or injury. If your dog whines compulsively or incessantly, there could be a medical issue or condition causing this dog behavior to occur. For excessive and/or abnormal whining, give us a call and let’s get your dog the care they need. Puppy training is essential to raising a well-behaved and socially adjusted adult canine. This is because behaviors learned or allowed during a dog’s formative years are the ones that become ingrained in his or her consciousness as acceptable in adulthood. Because dogs age faster than human beings do, puppy training becomes essential to embark upon early in life. In order to ensure negative behaviors are corrected before they can become ingrained as normal or natural. Imagine your canine companion as an obedient, loyal and reliable friend on a leash or off. Imagine never having to worry about interactions with other animals or people of any age, appearance or demeanor. Imagine always knowing your dog will be well behaved in any situation. By undertaking dog obedience training, your imagination will take a back seat to the pleasant and peaceful reality of your everyday life. Dog obedience training is the key to a well-behaved dog. Our veterinary team specializes in various forms of certified and proven dog obedience training protocols. Companion animals can also suffer from depression, anxiety, hyperactivity, aggression and other mental diseases. Medications and behavior modification can help to alleviate symptoms and help these pets become more manageable in a home environment. Animal Clinic of Billings patient, French Bulldog Nala is a testament if there ever was one to the success that can be achieved with behavioral medications. 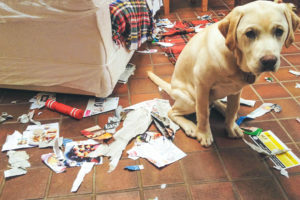 Behavior problems are the number one reason that owners give up a pet. Today the number of dogs euthanized each year tragically hovers around thirty million, and the number one reason for dogs being euthanized in America is due to behavioral problems. There is of course a multitude of factors that contribute to each situation and like you and me, dogs and cats have vastly different characteristics and personalities as well as genetic predispositions and personal experiences to draw their behavior from. In most cases, and depending on the severity and specific type of behavioral issue of coarse (i.e. relentless violence and aggression towards humans), pet relinquishment due to problematic behavior is considered a last resort long after many attempts to recalibrate the behaviors have been made. If you’re ready to enjoy the company of a well-trained dog, give us a call! At the Animal Clinic of Billings, we believe that many behavioral problems can be dramatically helped, altered and even fixed with the proper counseling and medical intervention that we’re able to offer pets and their owners. If your cat or dog exhibits undesirable behavior, please contact us to schedule a consultation with one of our veterinarians today.